I see a lot of homes for sale in Fremont http://www.tricityhome.com and their garages. Some owners are creative in they're use of the space while other homeowners are in survival mode. Some of my homes for sale in Fremont have used shelving and built-in fixtures to make the space very workable as a hobby shop and the like. I was taken a back lately by this townhome for sale in Fremont. Do you remember the Tennessee Tuxedo cartoon? He and is pal Chumly would escape from the zoo on a mission to solve a problem. Armed with the voice characterization of Don Adams, Tennessee Tuxedo would demand that they visit Mr. Whoopee, a brilliant professor who knew all the answers. Upon arrival of Mr. Whoopee's office, it only took a matter of a minute or two until the professor had to open his closet to get use of his "3D-BB," his three dimensional blackboard. However, the closet was packet to the ceiling with stuff. I wonder why a tennis racket sticking out always seems to make it as a stereotypical junk thing. 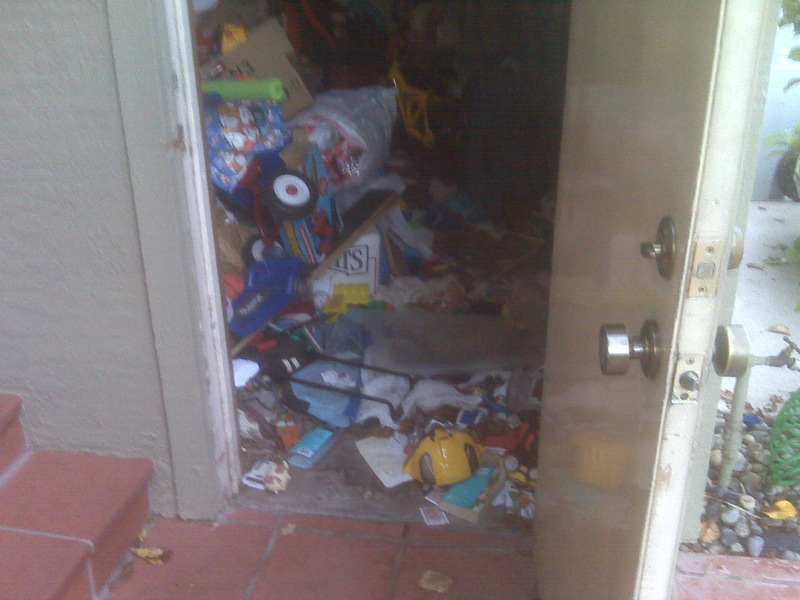 Anyway, when the closet is opened--all the junk spills on top of Mr Whoopee. Well, that almost happened to me. While showing homes for sale in Fremont, an owner had stepped out prior to me showing one of the homes, and there were no images of the garage in the Fremont home for sale on the MLS. "Can we see the garage?" the buyer asked. "Sure," I replied. This is what we saw. I could not help but think of Mr. Whoopee's closet.